This was a decent report, not because sales increased, but because of the level of inventory. Based on historical turnover rates, I think "normal" sales would be in the 4.5 to 5.0 million range. 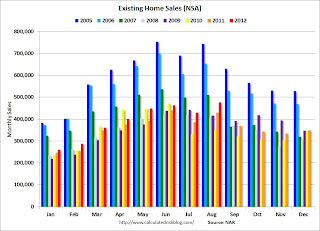 So existing home sales at 4.82 million are in the normal range. However, a "normal" market would have very few distressed sales, so there is still a long ways to go. As I've noted before, no one should expect existing home sales to go back to 6 or 7 million per year. Instead the key to returning to "normal" is more conventional sales and fewer distressed sales. 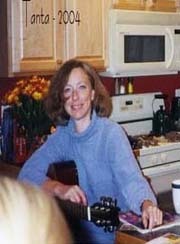 Distressed homes - foreclosures and short sales sold at deep discounts - accounted for 22 percent of August sales (12 percent were foreclosures and 10 percent were short sales), down from 24 percent in July and 31 percent in August 2011. I'm not confident in the NAR measurement, but other sources suggest distressed sales have fallen in many areas. 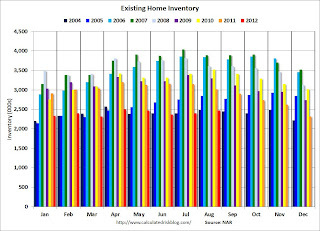 Of course what matters the most in the NAR's existing home sales report is inventory. It is active inventory that impacts prices (although the "shadow" inventory will keep prices from rising). 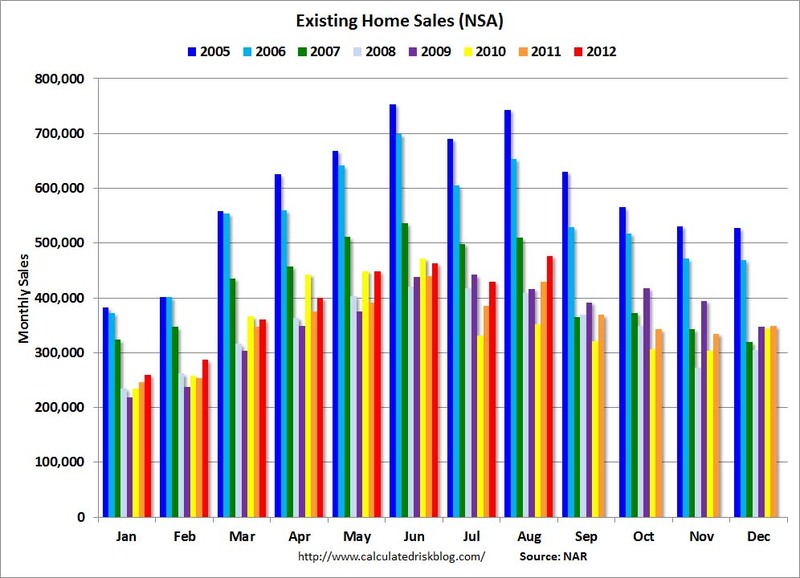 For existing home sales, look at inventory first and then at the percent of conventional sales. The NAR reported inventory increased to 2.47 million units in August, up from 2.40 million in July. This is down 18.2% from August 2011, and down 13% from the inventory level in August 2005 (mid-2005 was when inventory started increasing sharply). This is about the same level for inventory as in August 2004. 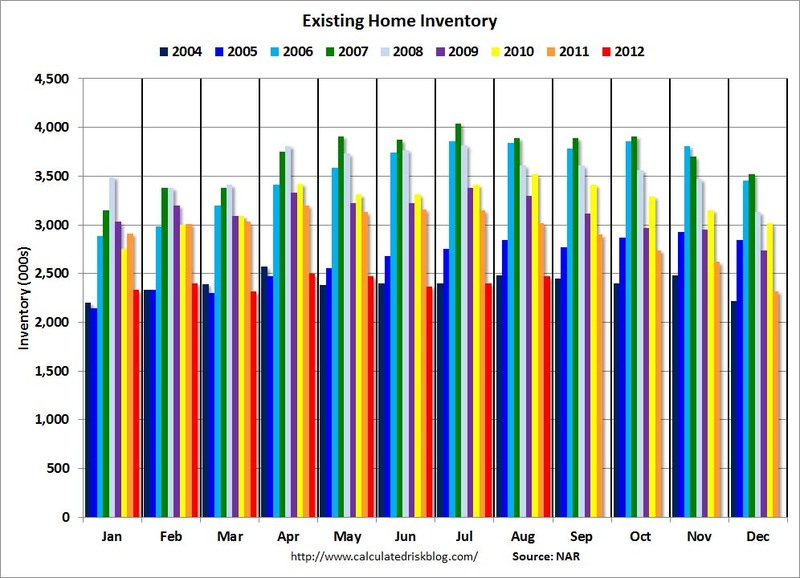 I expect that the largest year-over-year declines in inventory are now behind us. It is very likely that each reported price increase will be met with more supply from sellers "waiting for a better market". I don't expect prices to fall to new lows in most areas, but this new inventory will probably limit any price increases. This year (dark red for 2012) inventory is at the lowest level for the month of August since 2003, and inventory is below the level in August 2005 (not counting contingent sales). However inventory is still slightly elevated using months-of-supply, but I expect months-of-supply to be below 6 later this year. Sales NSA in August (red column) are above the sales for 2008 through 2011. Sales are well below the bubble years of 2005 and 2006, and also below 2007.